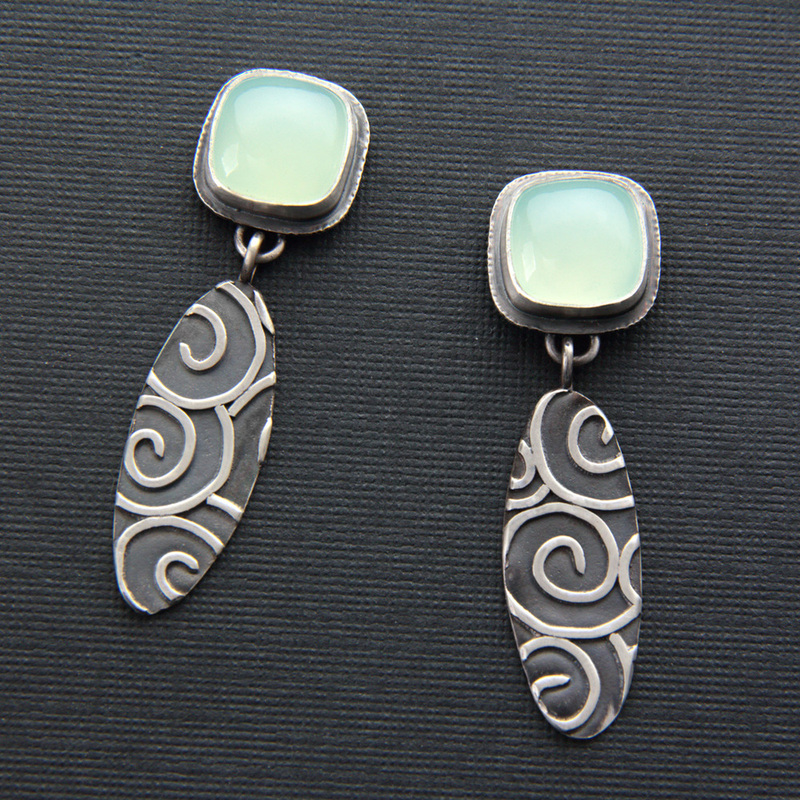 Fused silver dangles with bezel set aqua blue chalcedony stones. These rustic earrings have a textured backplate with delicate leaves. Silk textured disc earrings with beaded links in sterling silver. I'm in the process of adding more earrings. Stay tuned!